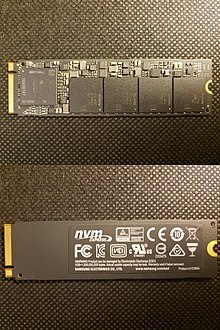 SSDs have no moving mechanical components. 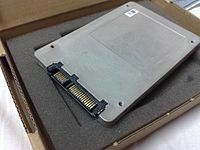 This distinguishes them from conventional electromechanical drives such as HDDs or floppy disks, which contain spinning disks and movable read-write heads. Compared with electromechanical drives, SSDs are typically more resistant to physical shock, run silently, and have quicker access time and lower latency. While the price of SSDs has continued to decline over time, SSDs are (as of 2018[update]) still more expensive per unit of storage than HDDs and are expected to remain so into the next decade. 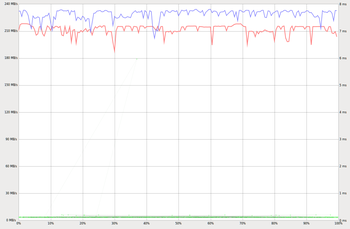 However, all SSDs still store data in electrical charges, which slowly leak over time if left without power. This causes worn-out drives (that have exceeded their endurance rating) to start losing data typically after one (if stored at 30 °C) to two (at 25 °C) years in storage; for new drives it takes longer. 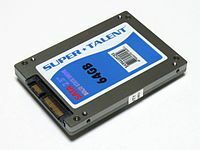 Therefore, SSDs are not suitable for archival storage. 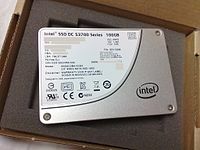 The only exceptions to this rule are SSDs based on 3D XPoint memory (sold by Intel under the Optane brand), which stores data not by storing electrical charges in cells, but by changing the electrical resistance of the cells. 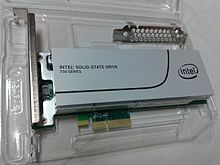 3D XPoint, however, is a relatively new technology with unknown data-retention characteristics and may not be suitable for archival purposes.